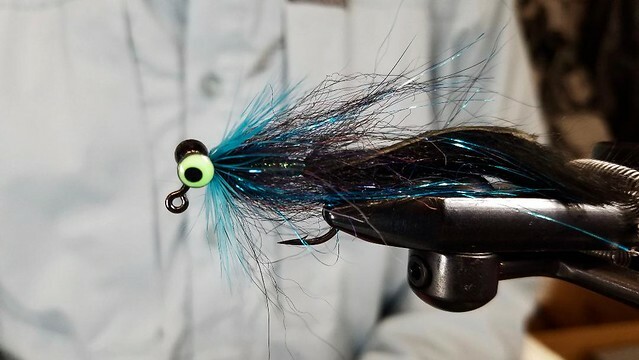 In this video, Jay Ties a Steelhead Swing Jig in Black and Blue. This is a great pattern to swing for Summer and Winter Steelhead. It can be tied using a variety of eyes and hook options. 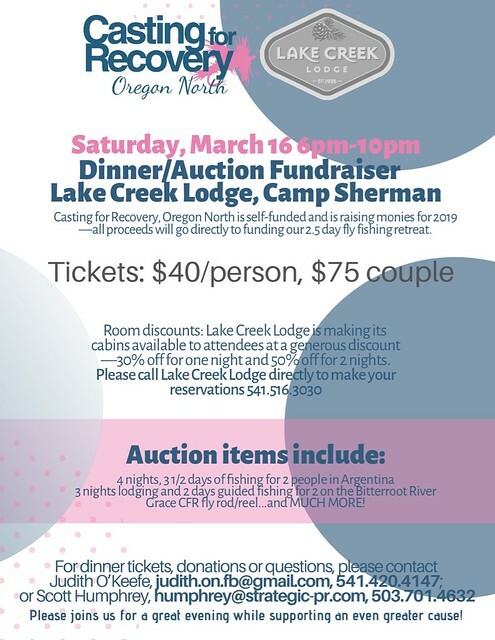 Our 23nd annual Homewaters Banquet + Auction is rapidly approaching and we heartily encourage you to join us Saturday, April 13, 2019 for the biggest party for wild fish in the history of the world. At this year’s banquet, we’re celebrating our wild, native fish, free-flowing rivers, and the thriving local communities that bring us all together. The only thing we need to make this spectacular evening even more special is YOU! Bringing liquid levity to our big ol’ party, our good friends at Lange Estate Winery & Vineyards, Arch Rock Brewing, New West Cider, and Mainstem Malt – who malt the industry’s only Salmon Safe barley – will be pouring some of the best wine, cider, and beer around. Elephants Delicatessen, a Portland staple will cook up one of their scrumptious dinners. Ladies and gentlemen, this is truly a meal fit for royalty. Please join us! There is no one better to celebrate our remarkable homewaters and wild, native fish than YOU – our friends and supporters. Bring new friends and old to our Banquet this year and show them what a good time fighting the good fight for wild fish can be! In this video, Greg ties a WD-40 fly – an effective Mayfly imitation. You can fish it as a dropper behind a nymph and adding a bead helps the fly get down quicker, especially in fast water. Tie the pattern in black to imitate Tricos, or in any other color to match midges and mayflies in your local waters. In this video, Jim Sens ties a version of The Town Run Fly – a local favorite pattern for Western and Central Oregon. Come on by the shop to purchase other Steelhead flies tied by Jim. Enjoy! In this video, Jay ties an attractor jigged nymph pattern using a Hareline Slotted Tungsten Bead and Wood Duck Tail. This is a terrific pattern for Euro nymphing and fishing under an indicator. In this video, Jay ties a Partridge Hackle Jigged Nymph pattern. This pattern is a great option for all species of trout and can be fished under an indicator or on a Euro setup. Our local Trout Unlimited Chapter will hold it’s first meeting for 2019 on January 14th at Claim 52 Kitchen on Willamette Street – 6-8pm. We are excited to kick off 2019 with Stephanie Messerle, District Fish Biologist from the BLM, and Brian Jenkins, Executive Director for the Smith River Watershed Council. Due to complications, they weren’t able to make our December meeting, but they’ve both agreed to come back and present information on the Smith River Watershed. 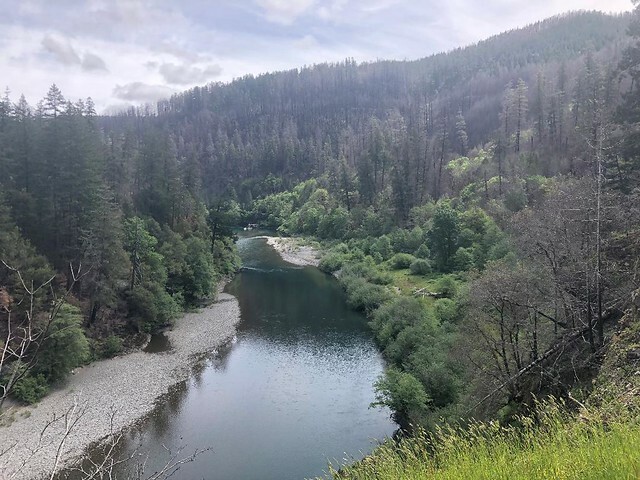 The presentation will include a general overview and characterization of the Smith River Watershed including land ownership, land use history, fisheries, and past restoration work. Whole Watershed Restoration projects in the West Fork Smith River Watershed will be highlighted as well as long-term data from the Life Cycle Monitoring Project. 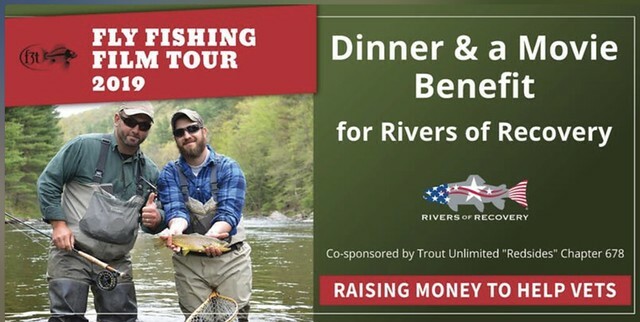 The presenters wish to solicit feedback from TU members regarding improving and increasing fishing access in the Smith River and future volunteer opportunities.